When we look at a word, we see it as a whole, so the correct sequence can be missed. This is why most workbook spelling programs don’t work. Auditory input and then spelling the word out loud, letter by letter, ensures accurate storage of the correct sequence in the brain, which allows for correct retrieval and accurate spelling. 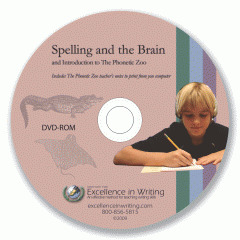 The Phonetic Zoo is a teacher-guided phonetically-based audio spelling program. After a short introductory lesson, students independently take spelling tests until mastery of the list is achieved. Students learn spelling rules incrementally, which will help with future spelling, and personal spelling lists ensure that all a student’s spelling needs are addressed. If you are interested in this program, take some time to look around the site. Learn what the program is all about and how it works. Then have your child take the spelling placement test, so you know which level to begin with. This page has a link to a video presentation by Andrew Pudewa introducing the program. The first thing I did was watch the DVD. The Spelling and the Brain video seminar stars Andrew Pudewa, the director of IEW, explaining how the brain works and how a child learns to spell. He gives some interesting facts about the process and why some programs/methods will work better than others. Andrew also does an introduction to the program, Phonetic Zoo. His daughter works through a lesson from start to finish, to show how a typical lesson will look. Next, I introduced my daughter to the lesson 1 card, with its rule and spelling word examples. Andrew stresses that for every rule in the English language, there also exceptions. It is important to stress this to your child. They might not be as frustrated to find these "exceptions" which are included on the spelling lists. You have the child read and spell each word on the front of the card - out loud. The next step is to set your child up with a CD player and headphones. Andrew says the headphones are a must. It cuts out all the distractions and involves the child more. The lessons are about 10 minutes. The speaker gives a short lesson and then lists the spelling words. Your child spells each word. Then the speaker lists the words again for your child to correct. She should retake the same lesson every day until she can get 100% two days in a row. Then, and only then, should she move on to the next lesson. As a child masters each lesson, she earns a collector card (spelling zoo cards). Andrew suggests placing them on your child's wall to serve as a reminder of the rules she has learned. ntly. The principle is simple and effective. I like that my child keeps at it until she gets it, instead of moving onto a new lesson every week without truly mastering the list from the week before. I like that along with the rule, cards lists exceptions. So right along with learning words spelled "by the rules", my daughter is also learning ones that "don't play by the rules". I think you will be glad that they did! Disclaimer: I rece ived the Phonetic Zoo products free of charge, as part of the TOS Homeschool Crew. The above is just my opinion. Please remember that opinions may, and do, vary. May your family have a blessed and merry CHRISTmas. And please remember the reason for the season. God gave His only begotten Son, Jesus, for the sake of all sinners. Accept His gift of salvation and forgiveness, even today. 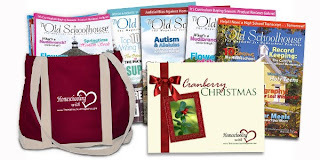 Are you looking for some last minute Christmas gift ideas for your homeschooling family and friends, or maybe for yourself? TOS has some amazing deals going on. The hardest part will be choosing which deal to buy! Which will you choose? A, B or C? Company: My Tiny Planets, LTD. I vaguely remember watching Bing and Bong on television a few times years ago. But I couldn't remember much about it other than the theme song (which is very catchy). So when I began reviewing the site, I had no idea what to expect. It was all "like-new" to me. I found the site a little difficult to navigate. But after a while, I got the hang of it. I always found it easier to go back to the home page and click the links from there. As you can see in the screen shot, the home page has several planets. You click on these to go to the different areas. I found this to be the simplest way to navigate the site. I even had a horrid time trying to register. If I didn't have to review the site, I probably would have given up. But I also finally figured that out. See the cadet wings in the top right corner? You go there and pick a ship. You then can pick a user name from randomly selected ones. We went through dozens before my children found ones that they liked. It was frustrating to them, not to be able to pick their own names like on most sites. But it is for security reasons. Children are not allowed to enter any actual data on the site. Not even during chats. Kids can only select from the provided options. Frustrating for children at times, especially older ones. But much safer. But back to registering. Once you pick a spaceship, you go straight into a game. You have to complete this mission and THEN you get to select your password. Never saw that before. Never had to play a game, before I could finish registering my child. After you are done, you must create a parent account and add your children to your account and now they can play. 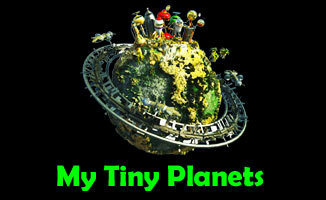 You only have to register for the MY TINY PLANETS part of the site. Other areas seem to be open to all. 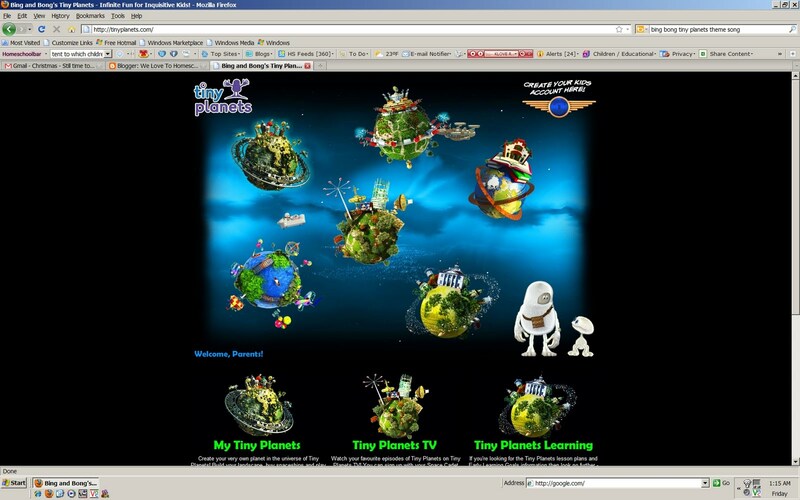 Without registering, you can access the Tiny Planets books, TV episodes, lesson plans, and games. The TV episodes: Your child can watch 1 episode for free. It is cute. The rest, well you have to pay for keys to unlock them. The Books: Again, your child can watch 2 cute books for free. The rest, well you have to pay for those too. I am surprised that they would charge to see the books and TV episodes. One of the planets is for Tiny Planets Learning. I like this one. It is free and you don't need to register. 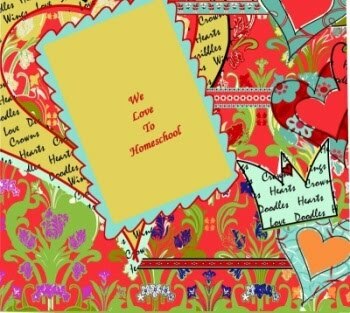 The site has full color, adorable worksheets for the letters and numbers. Perfect for the preschool age. 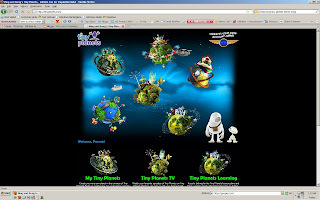 The most popular part of the site (at least for my kids, ages 12 and 8) is the My Tiny Planets site. This is the part that you have to register for. You pick from the preselected user names and choose your spaceship color. Bing and Bong are your space guides. Along the way, you will meet other players that can request to be your friend. As I mentioned before, there is no free chat. Your child can only select from off the list. This is to protect your child. Players also receive their very own "passport". It shows about "you", your stuff, and your field journal. Drive your spaceship through space. Drive through space rings. Shoot at stars. Warp into other galaxies to play games where you can earn stars and compete for high scores. Stop at shops to purchase items (some with stars and some with purchased keys). Cadets can also design their own planet and spaceship. My kids love "personalizing" things in their games. They can find "secret research items" hidden in landscapes. They "identify and describe" them and then they get logged in their journal. It is fairly easy to navigate through space. But I would prefer a map where I could see everything at once. You can only see a portion of the game area at a time. The game aims to give your child an appreciation for our tiny planet and to encourage them to take care of it. My kids liked it. It is free to play, so go on over and give it a try. Disclaimer: I tried Tiny Planets free of charge, as part of the TOS Homeschool Crew. The above is just my opinion. Please remember that opinions may, and do, vary. Price: Prices vary depending on retailer. Available through several online stores, including Target, ToysRUs, and Amazon. As a part of the TOS Crew, we never know what kind of products we will receive. Last year, we received several math products. Well, not several. A LOT. Both in book form, ebook form and online gaming form. Let's just say that my daughters were "MATHED OUT" by the end of the year. So to actually get a product that is just for fun, is a blessing indeed. 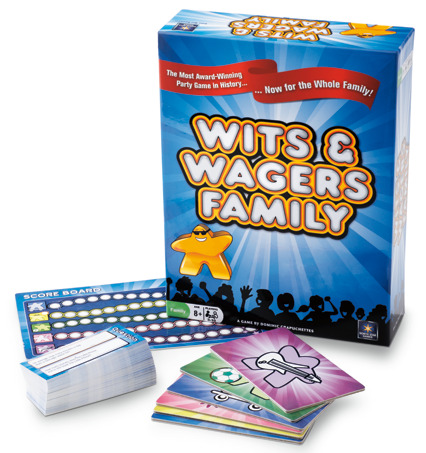 And that is just what "Wits and Wagers Family Edition" is all about. Having fun. I always hesitate when I pull out the instruction sheet for a new game. Some are so complicated, you would need to be a rocket scientist to figure it out. So it was a sweet relief to see that these directions are short, sweet, and simple. I read it once and got it. You read a question. And everyone writes their guess of the answer on the answer sheet. (All answers are numbers.) Then everyone places a token on the answer they think is correct. (You can place it on your answer or on another player's.) Be careful though, think like Price Is Right. Your answer can't go over. You score points for guessing the closest without going over and also for placing tokens on a winning answer. It is fun and simple. Guessing is encouraged, even necessary most of the time. This is the family edition. All the questions that I saw were family friendly. Our group consisted of an age range of 8 to 67. All of us enjoyed it. Some of the questions are geared towards an adult's interest/knowledge. Some of the questions are geared more towards a child's interest/knowledge. But most of the questions are just general knowledge, that everyone will find interesting . . . but no one could possibly know the answer to. That is where the fun comes in. You just guess and try to get the closest. It was a bit harder for my 8 year old. But not so hard that she didn't enjoy it. She begged to play again. I enjoyed it. My family enjoyed it. And we gained a little bit of trivial knowledge along the way. :) I recommend this game. Disclaimer: I received Wits & Wagers Family Edition free of charge, as part of the TOS Homeschool Crew. The above is just my opinion. Please remember that opinions may, and do, vary. 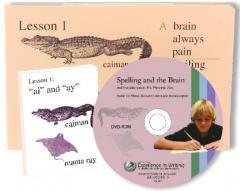 Apologia has lots and lots of homeschool and parenting resources, as well as curriculum. 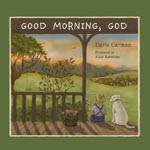 Apologia Press sent us a cute little book titled, Good Morning, God. This is a sweet little story about a 4-year old boy and his relationship with his family and God. It follows him through 8 days, Sunday to Sunday. Each day follows a predictability that young children love. In the morning, the young fellow wakes with lots of energy and says a prayer to God. During the day, he enjoys a fun activity and his parents teach him a lesson. The lesson isn't mentioned, only implied by the picture. At night, the boy says a simple prayer that gives us thoughts to ponder, and then says good night to the day and to God. The lessons he needs to learn will give you cause to chuckle. And your younger children will be able to relate. The prayers, though short and sweet, will be very important reminders for your young child, as he learns more about his loving Savior. - Jesus dying for our sins. - Asking Jesus for forgiveness. - Thanking God for being the giver of life. The pictures are precious, showing a loving family interacting and spending precious time together. Half the pages are full-color and half are simple black-and-white sketches. A nice combination that you don't usually see. 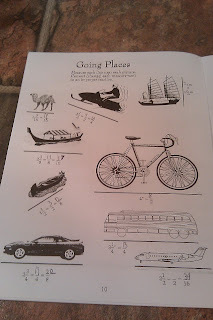 As a bonus, the back of the book includes a list of activities for each day. - And some questions to ponder. As to be expected based on the age recommendation, my 12-year old was not very interested in the book. Although she did think the pictures were nice. This is a very cute book. As a bonus, you can purchase a coloring book to go along with the book for only $4 each. Get one for each child, who still enjoys coloring. They can color the related pictures while you or an older sibling read the book aloud. This book would make a wonderful Christmas gift. Disclaimer: I received Good Morning, God free of charge, as part of the TOS Homeschool Crew. The above is just my opinion. Please remember that opinions may, and do, vary. 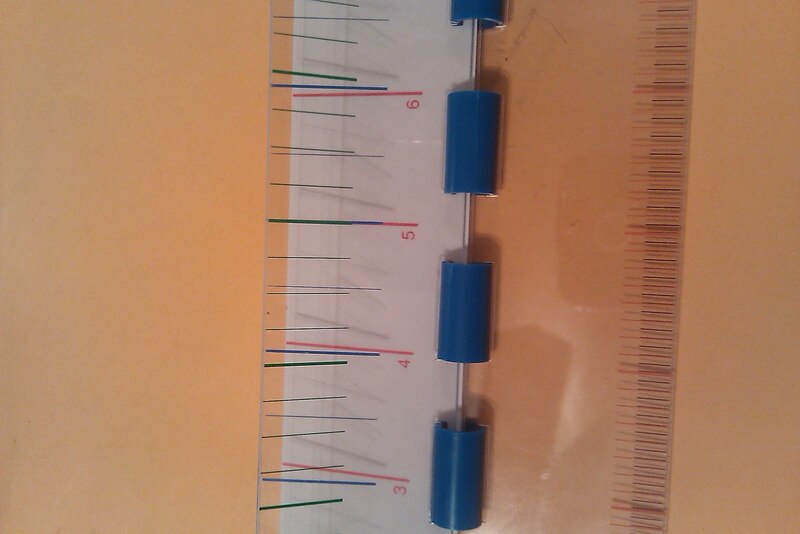 A multi-layered ruler that allows your child to see and understand measurements in a much more simplified way. Great innovation. When you hear about a course for measurements, you probably think "big deal". Right? You take the ruler and you measure the lines. 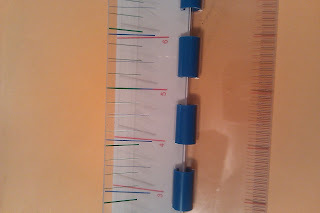 Well, then I took out these rulers and began looking them over . . . and I think they are a "big deal". What a unique concept. The Master Ruler has 5 layers. Hopefully you can tell a little from the picture above. If not, check the video. Combine these with the workbook and your child will gain a better understanding of measurements and how the the different ones relate to each other. This will also lead to a better understanding of how fractions work. 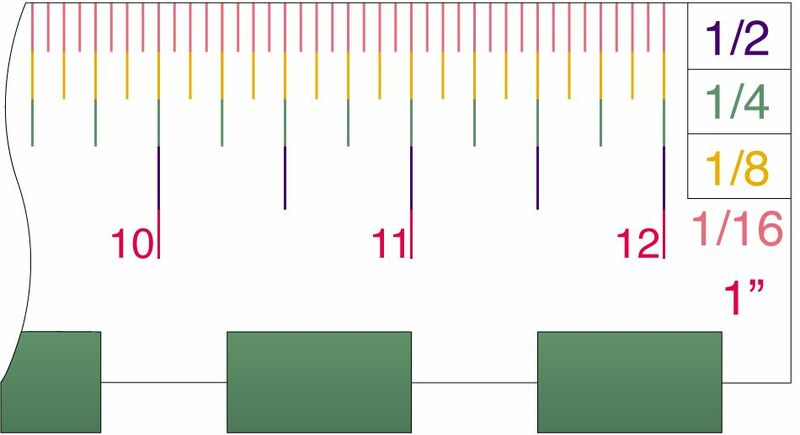 The workbook gives practice in improper fractions, adding/subtracting fractions with uncommon denominators, finding area/perimeter, conversion, rounding, reducing fractions, and more. The workbook is small, only 24 pages long. But it is packed full of information. This would be a quick supplement to your current math program to help enforce measuring and fraction skills. The rulers will come in handy long after the workbook is done. They are the handiest little gadgets to have around. I am very impressed with them. 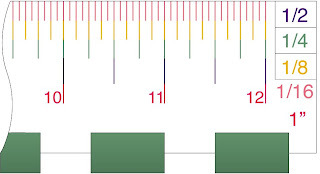 It makes it so much simpler to measure in different increments without all the other numbers adding to the confusion. I like this product and recommend it. We also received the Marvels of Measurement poster. What a handy-dandy poster it is. To read other reviews, click here. 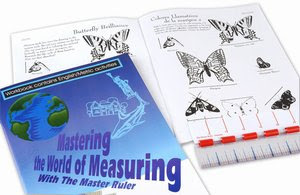 Disclaimer: I received the Master Ruler products free of charge, as part of the TOS Homeschool Crew. The above is just my opinion. Please remember that opinions may, and do, vary.